Management majors participate in group discussions with professors and peers in smaller-than-average class sizes. Management involves the organization and coordination of a business in order to achieve goals. But managers are more than just planners. They are leaders and big thinkers who know how to creatively approach problems and empower their staff. As long as there are businesses, there will be a need for managers. While their focus may be in a specific area, managers need to understand all parts of an organization to ensure that it functions smoothly. This includes finance, marketing, production and human resources. To be a good manager, you also have to be a people person. You should be comfortable working with people of all backgrounds and experience levels. Employees depend on good leaders to inspire and push toward the cutting-edge. There is also a growing trend of social responsibility in the corporate world. For-profit companies are giving back to charities, incorporating sustainable practices into business and mentoring the next generation. To be an ethical manager in today’s world means considering how your business affects the world in a positive way. 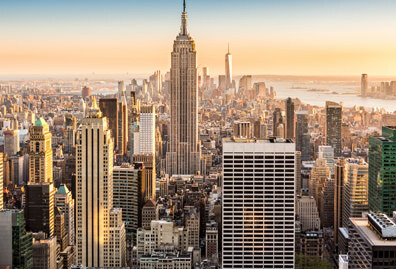 As a business student, you’ll use New York City as your classroom. You can take part in site visits and apply for internships at major companies like Mutual of America, Bloomberg and JP Morgan. On campus, you will have the chance to attend career fairs, guest speaker series, networking events or be paired with a professional mentor. Eager to manage your own business? The School of Business offers several classes on business strategy for small ventures and entrepreneurships. There’s also an Innovation Contest held each spring through the Entrepreneurship Club, which is open to all students. Student teams present their business ideas to a panel of judges a la Shark Tank for a monetary prize. Our faculty are industry professionals with years of experience. 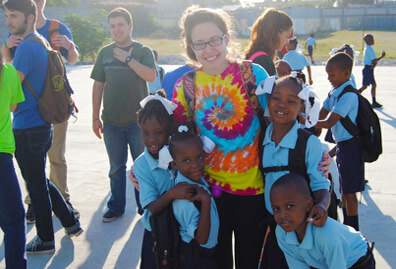 They take time to get to know students individually in small classes of 15-20. Each year, they conduct hands-on research projects and case studies with students interested in personalized learning. “I was actually looking at Ivy League schools coming out of high school. I got wait-listed at Columbia University and accepted to NYU, but I wouldn’t have been able to afford it without a better financial package. Before long, it was closing in on the deadline to enroll and I wanted a New York City school. 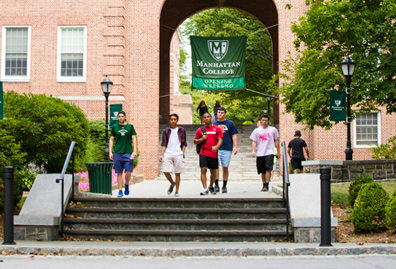 So I came to Manhattan College, and took my tour on the last day before the deadline to enroll in college for that semester. I enrolled immediately after my tour! New York immediately became home to me. I love this city. It’s provided me with so many opportunities, it's exposed me to so many new people. You're always learning. 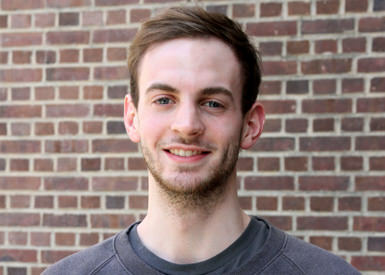 "I came in as an economics major, which is still one of my dual majors. As part of the business core, we had to take an intro management course, and thankfully I took that class with Dr. Poonam Arora, who saw a lot of potential in me through my scores and my interactions with her in class. She pulled me aside one day and asked if I’d be interested in doing research for her. She's a specialist in what's called behavioral economics and decision-making. She recommended to me that I start moving away from traditional economics, which is very math-intensive, very set and rigid, which didn't really apply to me completely. I liked it but I was missing something. So she recommended management because it blends the psychology and the decision-making with the economics background. "Our research focuses on behavioral decision-making methods of solving environmental resource dilemmas. It combines economics and psychology to better understand how people make decisions in common resource situations — like farmers using a water table or preparing their crops for a drought, or overfishing in a lake. Those concepts can then be used and applied in many contexts, including for businesses and managerial theory. "Dr. Arora really showed me that there's a whole lot more to academics than just going to class. Even if a class may seem easy, there's much more underneath it and how you can apply it to the real world, how you can use that information in terms of a job or an experience outside of class. My professors have helped me explore my creativity. "My junior year, I had a full semester internship at a video game studio downtown called Arkadium, in their business development department. I found the internship on JasperLink. I'd come in for the first two hours of the day and play video games, which was awesome because I'm a gamer through and through! What Arkadium does is lease or license off their games to companies and big online newspapers who want to generate user clickthrough rates. I’d help manage accounts by asking, ‘How can we make this banner ad fit here, or that side scroll fit there?’ So, I got to learn about how people actually turn those tiny little ads on the side of sites into money and things that are useful and accessible for the company. I also got the chance to sit down with the CEO and present some of my research to him. "Last summer, I worked for Cleary Gottlieb Steen & Hamilton, an international law firm downtown. And I've since gotten a job offer from them. I'll be a business development associate, so I'll be either working in media relations, marketing and communications, or practice group support. "Ultimately, I would love to get my master's and then move on to a Ph.D. in either behavioral decision-making or conflict resolution. My dream job is to work as a mediator or negotiator at the UN or with a top law enforcement agency in America. Management is also available as a minor. All types of organizations need effective management to function. Managers work in traditional for-profit companies and nonprofits, as well as in government, education or technology. Careers of interest for management majors include the following. See each link for more details about job outlook and salaries. 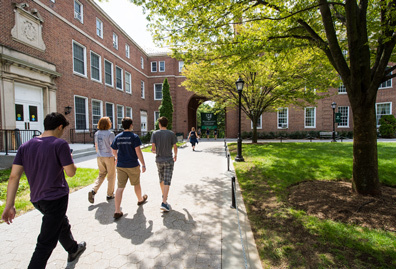 Being a Manhattan College business student allowed me to gain the skill-set needed to successfully manage a profitable business, while teaching me to always consider the 'human' side of business. 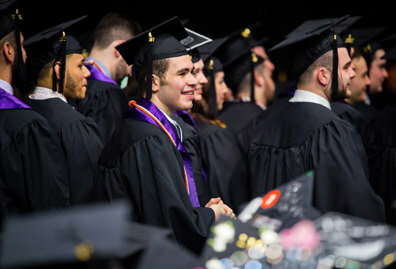 Every class I took, from marketing and management to finance and economics, incorporated the ethics of consumers, producers, and manufacturers every step of the way.